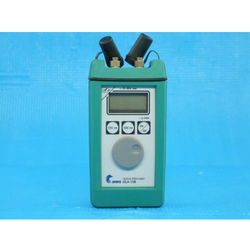 Prominent & Leading Manufacturer from Faridabad, we offer optical power meter with laser, optical power meter with vfl, digital optical attenuator, optical fiber identifier, optical variable attenuator and pon optical power meter vtc 100. 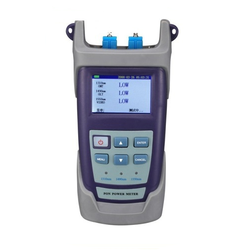 Optical power meter is a kind of accurate and durable portable instrument for the installation, operation and maintenance of optical fiber network specially designed.. Product has a compact shape, can choose to switch backlight display and automatic shutdown function, optical power ultra wide test range, precision testing accuracy to generic interface and design. At the same time, linear index (MW) and nonlinear indexes (DBM) and wavelength selection screen display. 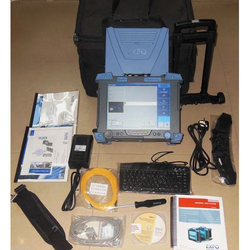 This instrument features complete, easy to use, easy to carry, is each fiber optic technology and construction personnel must be equipped with the maintenance tools. LCD shows the measured optical power, dBm, mW, uW, nW,, dB, 850nm, 980 nm, 1300 nm, 1310 nm, 1490 nm, 1550 nm,1625nm etc. Optical Variable Attenuator -WWG OLA-15B with best quality and service at low prices for limited time.A rugged hand-held instrument for variably attenuating optical signals in single mode applications. 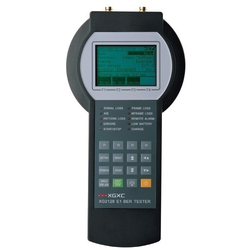 Use to simulate line loss for BER (Bit Error Ratio) tests on fiber optics systems, determine system margin/receiver sensitivity or the calibration of optical power meters. 4-Digit LCD Display. 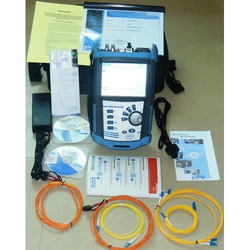 V tech offers an Optical Fibre Identifier for detection of any kind of fault or failure in optical fibre. 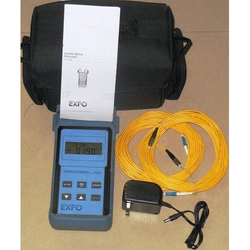 Portable fiber optic identifier which employs safe and reliable macro bending technology to avoid disruption of network communications that would normally be caused by disconnecting or cutting a fiber optic cable for identification and testing. 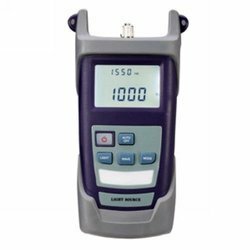 The fiber optic identifier is intended for engineers and technicians to identify dark or live fiber and excessive losses due to the misalignment of mechanical splices or poor connections. 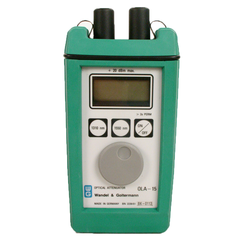 This handheld variable attenuator performs just as well in a laboratory environment as it does in the field. Superior specifications (±0.15 dB linearity from 2.5 to 70 dB, 0.05 dB resolution and ±0.10 dB repeatability) make it the variable attenuator of choice for various applications. 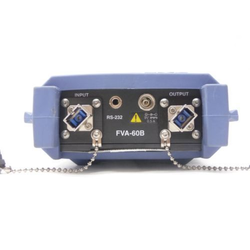 For lab or field work flexibility, choose the FVA-60B Variable Attenuator. 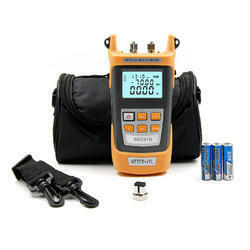 VTC100PM PON Optical Power Meter is an upgraded version of RY-P3201 PON power meter. 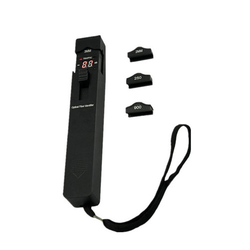 It aims at the FTTx application and maintenance which not only can be used to test and estimate the PON signals at the same time, but also the normal power measurement and fault identification. It is a useful, essential and ideal tool for the construction and maintenance of the PON projects. 10 different threshold sets; . 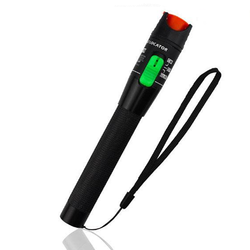 3 Colors LED light Green, Yellow or Red represent 3 types of signal conditions Pass, Warn or Fail. . Added User self-calibration function in software which used to calibrate the PON module or set the threshold value. EXFO has created the first true compact platform for the supertech. Whether you are testing triple-wavelength insertion loss at the CO or testing dataintegrity at the core, the FTB-200 has the power, speed and modularity that you need in the field. 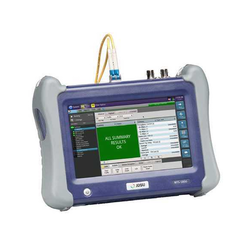 The SmartClass Ethernet product is an easy to use, cost effective Ethernet testing solution for basic physical layer cable testing, layer 2 and layer 3 traffic generation, and full RFC 2544 testing. 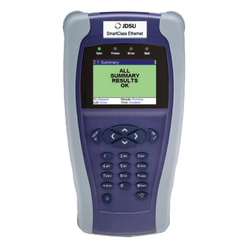 The rugged, battery operated, application specific test tool enables field technicians to turn-up Ethernet and IP services by running an RFC 2544 test or following a set of methods and procedures. The product has been designed for front-line technicians who do not have experience dealing with emerging Metro Ethernet technologies and need a simple to use solution for Ethernet and IP testing. The SmartClass product comes in two major configurations, one a loopback only device and the other featuring full traffic generation. Wide range of applications in systems installation andmaintenance, as well as production. Large, continuously variable attenuation range. Attenuation settings highly accurate and reproducible. Universal interchangeable adapter system.Rugged shock and water-resistant casing. The OLA-15 Optical Attenuator is a handy-sized, rugged instru-ment for variably attenuating optical signals in single-modeapplications at 1310 and 1550 nm. Example applications includethe simulation of line loss for BER tests on fiber optics systems,the determination of system margin / receiver sensitivity or thecalibration of optical power meters. 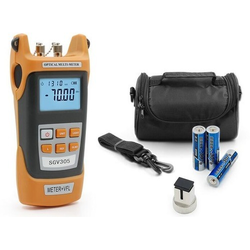 A complete test setcomprising signal source, attenuator and power meter containedin a shock-resistant case is also available. Looking for Optical Test Equipment ?